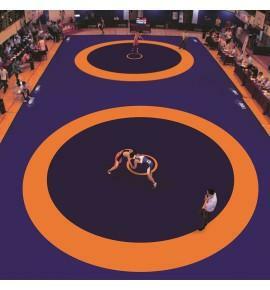 Following changes to the visual identity of United World Wrestling (UWW), the colors of competition wrestling mat have been modified. 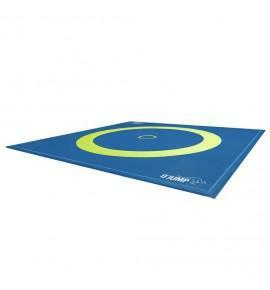 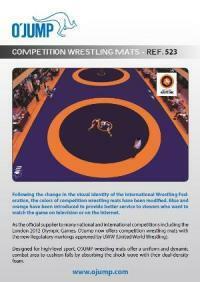 As the official supplier to many national and international competitions, O'JUMP now offers competition wrestling mat with the new regulatory markings approved by UWW. 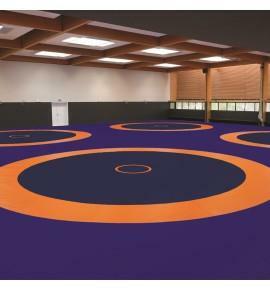 Designed for high-level competitions, O'JUMP wrestling mat in dual-density 6-cm thick foam offer a uniform and dynamic combat area that cushions falls by absorbing shock waves. 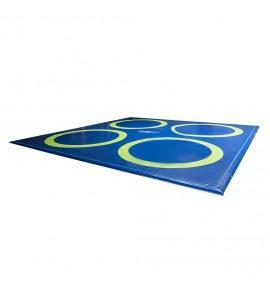 - The three-color cover with regulatory markings is attached by self-gripping strips to a flexible surrounding frame (roll-up track type). 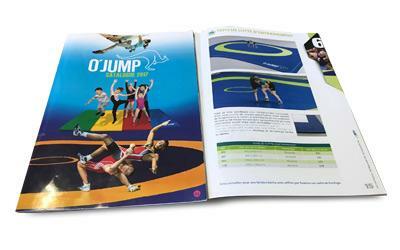 The cover is made of 1000-denier PVC; it has a class M2 fire rating, phtalate free and is UV resistant.